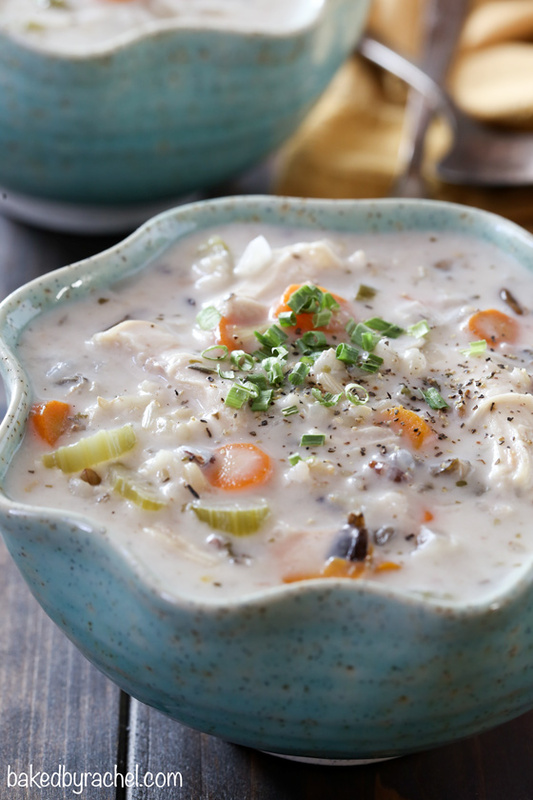 Easy homemade creamy slow cooker chicken and wild rice soup. 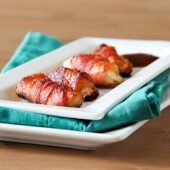 A flavorful meal the entire family will love! We’re super late to the game when it comes to Star Wars. I grew up watching the original trilogy with my dad and brother, but hadn’t watched any since. Sometime last year … or maybe even the year before, I saw the six movie set on sale at Target for a great price, so I snagged it. I couldn’t resist! We watched a few of them last year and always meant to watch more but didn’t. Life! We decided New Year’s Eve was the perfect time to binge watch them. The kids were sick, so we had no other plans. Perfect timing! I’m itching to watch the new most recent ones now that I know the entire backstory! It only took me many years more than it should have. Oops! Super behind the times, but that’s okay. I’m almost caught up now. We’re currently living like a college family. Our fridge died right before Christmas. We knew it was on the way out, but figured it had more time left in it than it actually did. Once it started to go, it was literally just a few days before it was dead. The upside of a fridge dying in the winter is that you can usually store most things outside, to some degree. Unfortunately our milder than usual winter threw a wrench into that plan so we ended up having to buy a mini fridge to help get us by. It’s a major upgrade from the fridge I used in college. They’ve definitely come a long way, but I’m still super eager for our new full size fridge too arrive! It’s becoming a game to figure out what I can store where or even what I can make that doesn’t require too much storage space for leftovers. A big challenge when you’re someone that almost always has leftovers around! I decided to kick off the new year with a comforting soup! 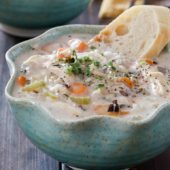 Because everyone loves soup, or if they don’t, they should! And, everyone can use something hearty and warm, especially this time of year! I’m a huge fan of creamy soups. They just feel more hearty and filling. 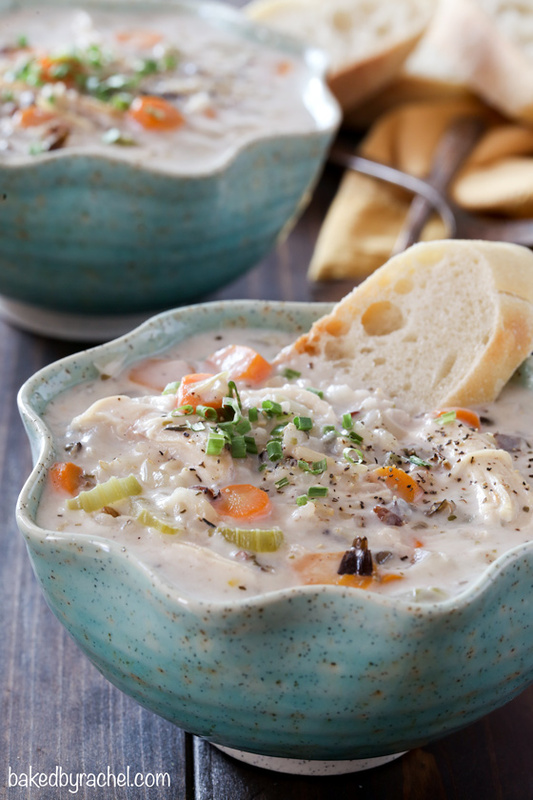 This chicken and wild rice soup is so easy to whip up. No standing, watching, stirring. I mean, you can do those things if you really want. But the beauty of a slow cooker meal is that you toss it all in and come back later to a really flavorful meal. Right?! Right. Easy. Creamy. Flavor packed. 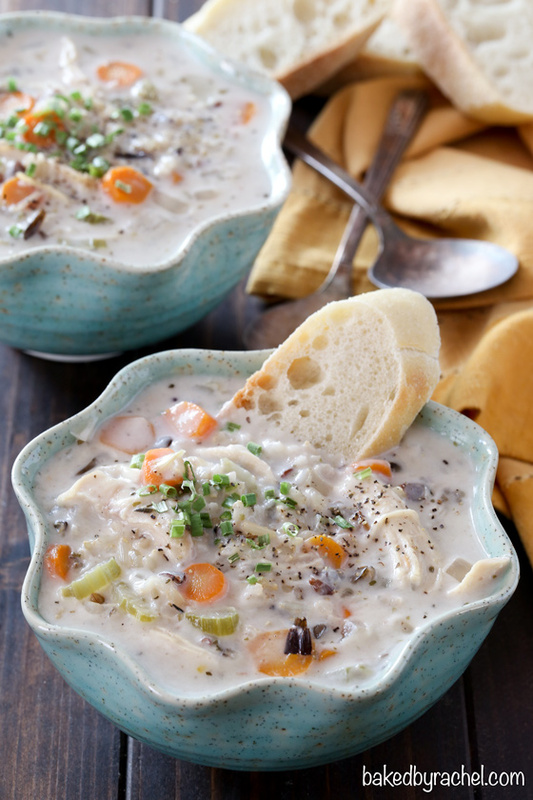 This slow cooker creamy chicken and wild rice soup is an absolute must make! The family is guaranteed to love it, so be sure to add it to your dinner plans soon! Bonus… there is a gluten free option! Check the notes of the recipe if that’s something that interests you. Chop vegetables and trim chicken of any fat. Add chicken, rice, vegetables, seasonings, bay leaves and chicken broth to the bowl of a 5-6 quart slow cooker. Cover and cook on high for 4 hours or on low for 8 hours. When initial cook time is up, remove and discard bay leaves. Remove chicken breasts, shredding with fork. Return chicken to slow cooker. In a large measuring cup or medium bowl, whisk together flour (or cornstarch) and heavy cream until smooth. Slowly pour into slow cooker, stirring gently to combine. Cover and cook for an additional 30 minutes or until desired consistency is reached. If a thinner soup is desired, additional broth may be added. Serve with optional black pepper, chives and baguette slices. 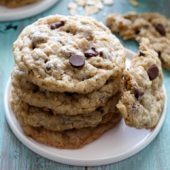 *Gluten free option: substitute 2 tablespoons cornstarch for the flour. This looks heavenly! Perfect for a chilly day! What a great soup! It’s been so rainy and cold (relatively speaking!!) in AZ lately, that all I want to eat is soup! This looks so good! What a gorgeous soup! So perfect for a cold winter’s night! Oh no! :O just before Christmas?! Eeek that’s unfortunate but I hope you get it fixed/replaced soon!! Soup is a great way to use up a lot of fresh ingredients in the fridge and I’m all about creamy goodness when it comes to winter dishes. 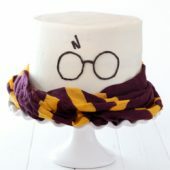 :D This looks great! Oh wow Rachel, this recipe is so delicious and very creative!